Choosing the right school for your child can be an overwhelming task. But we are here to help! 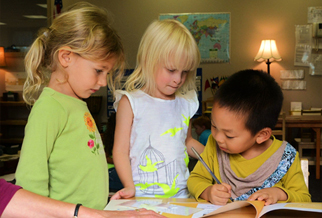 At International Montessori Schools, we pride ourselves on fostering productive, harmonious communities where children are free to learn and discover at their own pace. Our faithful implementation of the Montessori philosophy ensures that they grow holistically, developing valuable skills on various social and intellectual levels. Each of our six IMSchools locations offers a stim ulating, child-centered environment that is fine-tuned to optimize the social, emotional, and cognitive growth of your child. Our teachers are highly trained individuals with backgrounds as diverse as those of our students; from Peru to Nepal, from China to Columbia, many cultures meet in our classrooms. Their role is to guide children in the classroom, patiently helping them find their own solutions rather than feeding them answers. Children grow confident and independent as they are given the time and space to choose their own work, collaborate, and solve problems. In addition to carefully selecting and preparing materials to aid your child’s physical, emotional and academic progress, our teachers are also committed to fostering a warm and inviting environment for your child to grow and develop. Each of our classroom communities is founded on the principle of respect—for oneself, for each other, and for the environment. It is not uncommon to find young children sweeping up messes, preparing and sharing snacks, or helping each other in meaningful work. As the children learn and develop their personal skills, they grow both as individuals and as a community. 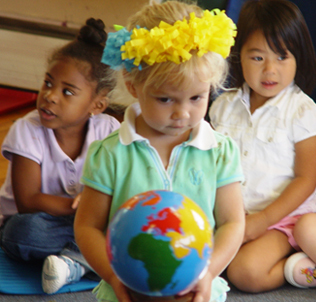 At IMSchools, we want to give your child a chance to discover him/herself and the world around him/her. 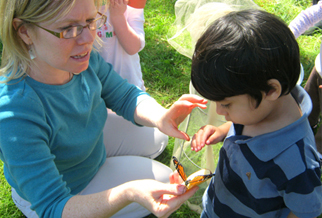 From butterfly gardens and vegetable patches to classroom pets and mud kitchens, IMSchools offer interesting and enjoyable ways for your child to engage with nature and learn about the interconnectedness of life in its many forms. Music, art, and stories from around the globe also enrich the classroom experience and help your child develop as a global citizen. We believe that each member—teacher, parent, and student—contributes something unique and beautiful to the colorful tapestry that is the IMSchools community and we hope you will come share, learn, and explore with us! Thank you for your interest in IMSchools. We hope you are as excited about the possibilities for your child as we are! Please come visit us at any one of our five schools in the Greater Philadelphia area and Delaware. We look forward to meeting you and welcoming you into our growing community of teachers, families and friends.